The historic Morehead Planetarium, the first planetarium on a college campus in the U.S., trained astronauts for NASA. Today, Morehead offers behind-the-scenes views of current science research through activities and programs for the entire family. Its GlaxoSmithKline Fulldome Theater is the largest fulldome digital video planetarium on a college campus in the world. Limited parking ($). Adults, $7.68; seniors, students & children, $6.51 (ticket prices include tax). 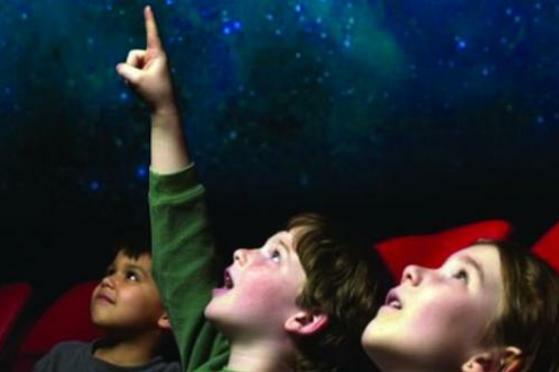 If you see more than one planetarium show in a day, second and all subsequent planetarium shows are $3. Hours are Tues-Sat 10am-3:30pm, Sun 1-4:30pm. Description A beautiful and unique space. The State Dining Room has hosted UNC-Chapel Hill's most honored visitors. the dining area is both elegant and intimate, with a crystal chandelier casting a warm glow on dark paneling and new plush carpet. Glass enclosed Terraces extend from the dining area through the South and North doorways providing views of Franklin Street and campus. Space Notes In order to book the State Dining Room you must become an individual supporter of Morehead Planetarium and Science Center and donate $2500. There is also a room rental fee. However, combined cost is very affordable for a Chapel Hill unique venue. Not available weekdays during the summer. Must use approved caterer list.